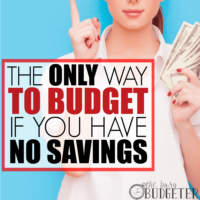 Getting your finances under control often leaves people shaking their head at what they used to waste money on. It’s a completely normal part of the journey. 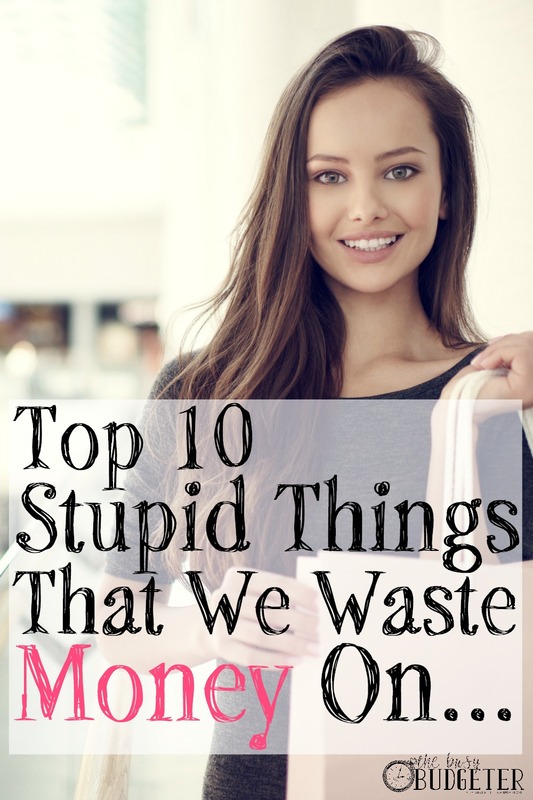 You can start by looking at the Top 10 Stupid Things That We Waste Money On. Since we’ve become debt free, it amazes me how differently we handle financial decisions now than we did before. Part of our journey to paying off our debt and finally getting our spending (and our eating out!) under control was substituting things we were spending money on with less expensive or free options. I know it’s quick and I know how hard it is to find the time to cook at home. Trust me. We were addicted to fast food for years because I didn’t know how to cook and we had awful organizational skills. It took us a long time to learn to cook at home and we had to start with super simple 15 minute recipes to get us there. But the money that you will save is immense. The money isn’t even the best part! You’ll eat so much better and you’ll consume fewer calories, making you healthier and even happier. We used to buy brand name everything even when we couldn’t afford it. That makes me cringe now. Even when we taste tested, there were very few items for which liked the brand name items better. Most tasted exactly the same, and we often found a store brand that we liked better. The exception to this (and the only things we still buy in name brand) are Hellmann’s mayonnaise and McIlhenny Chipotle Tabasco Sauce. By switching to store brands in everything else, we automatically save about 30% off on our grocery bills without even noticing a difference. This is usually the hardest for readers to try, but I’ve never had a single reader say they switched back to cable. This was easy for us. We had an Xbox, so we just got Hulu for $7.99 and Netflix for $8.99/month and called it a day. We saved $80/month, had better TV than when we had cable and had the unexpected added benefit of never having to watch the news (I never realized how much stress the news caused until we lived without it). There are so many options today for cheaper alternatives to cable that it boggles my mind that cable companies can still make a living. It’s not that these small purchases cost a lot, it’s that they’re so completely senseless. Buying extra lives in angry birds, and candy crush is not only a waste of money (and your time!) but if you just put the phone down for 20 minutes, you earn more lives anyway! Not to mention, those small purchases add up over time (that’s why the company that creates Candy Crush Saga is worth 6 billion). Every January, hoards of people flood their local gym to sign up for memberships, by March, the gyms are almost empty. Almost every person that has “gym membership” listed in their budget that I’ve worked with went to the gym less than 4x a month, which means that they could pay per diem and save money. Or better yet, find a way to work out at home like a Fitdesk or a Fit2B membership that doesn’t require a contract and high monthly rates. If you’re using the gym then it provides value for you, that’s great! But unless you’ve proven to yourself that you can consistently work out for several months, then you’re burning money every month. 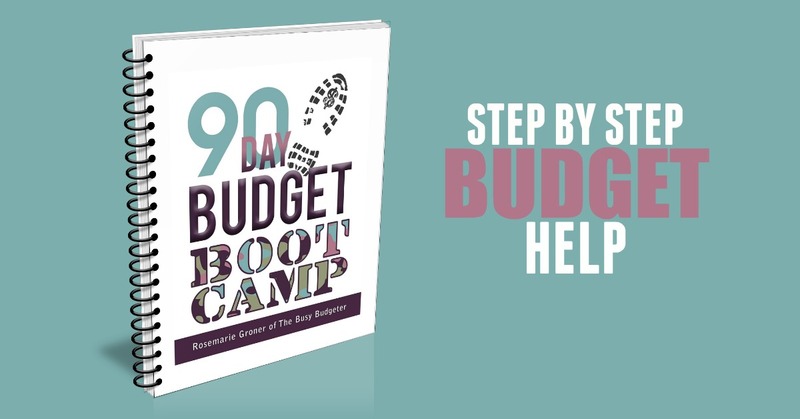 There are quite a few ways to lose weight for lower costs found in this tools and resource guide for weight loss. The lottery drives me nuts. We’re so focused on getting an unexpected windfall that will solve our financial problems forever that we never even look into what happens when people win the lottery. It’s not pretty, guys. In fact, winning the lottery is my biggest fear to date. 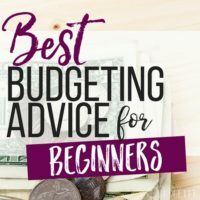 When you get a large amount of money without building the skills needed to manage that large amount of money, it’s likely that you’ll lose all of it and incur more debt than you can handle. Basically, if you make $22,000 a year and have $10,000 in debt, you may feel like you’ll never dig yourself out of debt. But that’s totally doable (I help people like that every day). What’s terrifying is $400,000 in debt, without the skills necessary to get a job with a high salary. The lottery makes that situation not only possible but likely. Skip the lottery, and invest in yourself instead. Do you have a hobby that could be turned into a business? Maybe you love photography or writing? Invest in a small business that you can scale up (and skill build) over time. We did this and turned the blog into a full- time job, while my husband’s home brewing hobby has turned into a huge brewery opening in Northern Virginia. It’s still a dollar and a dream, but your odds of winning are much better. These are almost always a waste of money. This is a good article to explain extended warranties, but the cliff notes version is that extended warranties for electronics, jewelry (engagement rings where you have to get them cleaned every 6 months in order to keep the warranty? Terrible Idea), and cars are all bad ideas. I used to spend a small fortune on books every month. I’m an obsessive reader and am usually reading two books at a time. When we reduced our spending, I stopped buying books completely. We get every book from the library now. Completely for free. If my schedule screws up and I end up owing late fees, then I happily pay it considering the amount of money that the library saves me every month. Switch to the library and pocket the savings. You’ll love the extra space in your house, too! We love to find a good deal, but with clothing, this means we often have a closet full of cheaply made clothes that don’t fit us well. It’s a waste of money. The average person uses less than 30% of the clothes in their closet! Skip the “bargains” and only buy the things that you absolutely love and want to wear every day. Even if you end up buying full-priced clothes, you’ll still save a small fortune compared to filling your closet with clothes that don’t fit. Repeat after me. Timeshares are never a good idea. Even if you use them all the time. These “prepaid vacation investments” are one of the worst deals you can make and they’re extremely hard to get out of. It boggles my mind to think that we’ve wasted our hard earned money on some of these ridiculous purchases in the past. 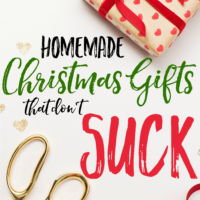 In fact, if you could add up every dollar that you’ve spent on the items on this list, I bet you could likely pay for a house in cash! The good news? You’re learning and growing every day… and regardless of what you spent your money on in the past, you won’t be wasting it anymore. What’s the stupidest thing you’ve ever wasted money on? ATM fees, overdraft fees and late fees are what drive me bonkers. So easy to avoid by just being prepared. Brittany Ann recently posted…Who is Missing from Your Table This Thanksgiving? I was going to comment the same thing! Bank fees are the worst, if you don’t pay attention to your statements. Since I started being very mindful of my banks fees, I have saved myself hundreds of dollars over the years. Most recently, I checked my bank balance, and found 5 fraudulent charges! I called the bank, they told me they had just put a freeze on my account due to suspicious activity, and sure enough, all 5 charges were generated out of FL, while I live in CA. The merchants were listed as website orders from websites that didn’t exist! I still had my card in my possession, so my credit union automatically, cancelled my card and overnighted me a new one, with the claim forms needed to be reimbursed. It definitely pays, to pay attention! I am guilty of a few money wasters on this list, like fast food and in-app purchases. But, we cut the cable cord almost 5 years ago, and have been using Netflix and Hulu as well. Have you tried Roku? 2000 channels and hundreds of programs. Initial cost for the roku box is about $90.00. After that everything is free no monthly fee. Google it for more info. we love ours especially the pause button. Fast food is definitely the stupidest one for me. It’s unhealthy and it costs more. No reason to be buying it. #1 has gotta be cable TV 😉 followed by overpriced cell phone plans, gym memberships, trash pickup. Also, overpriced food that you can make way cheaper at home (Starbuck’s chai latte, Panera salad)! These are all so true! My biggest thing is small fast food purchases like donuts or “just fries” at Chick-Fil-A. I honestly find myself sitting in the car about 5 minutes later thinking how I am eating $3 for no real reason and hating it! In-app purchases are a great thing to mention – I can’t believe how much money companies make off that! My husband used to be really bad about that and whenever I would call him out on it he would just claim to be too caught up in the moment, lol! Great list! I’m a bibliophile, so I would have to take books off of the list. We do get the majority of our books from the library, but I’ll happily pay for classics for me and children’s books to add to my kids’ collections. I would also add unnecessary fines to the list. Just the other week we got a fine in the mail from a toll booth that my husband happened to miss on a business trip. $30! Yikes! These are all great. We have paid off all debt besides our mortgage and are well on our way to that. We have never paid one penny for t.v. Years ago, we used the antennae and these days we only watch what we can stream from online. We’ve also never owned a gym membership. We do buy books, though because we can’t always find the ones we want to read online. It hurts to think how much money I have wasted on stupid things! My biggest weakness is eating out, especially during my lunch break at work. It’s a double-whammy since it is bad on my wallet and on my health. If you want to save even more money on books, get a kindle. You can download all your books from the library without ever paying any overdue fees. Also, kindle has tons of books for free. If your local library doesn’t have a huge selection of ebooks, remember that you can join any library in your state. Many libraries even let you join online without even going there. I have found this to be wonderful and amazing. You can also find free books and discounted books. I use ereadergirl.org. ive got over 700 books and only paid for 3,about 99 cents each. On saving money on books, the web is also a really great source of free books. For me I read on my phone, and many local libraries have lending, saving the trip too. Obviously if you don’t do that the physical library is best. For kids now, there used to be only a bare few, but now there are so many free pdf and online books available for reading on a tablet, or printing, no need to buy, unless it is something you can’t get or really want to keep for your own library. Yes, I agree, don’t buy anything unless you really can’t get it free! I’d love to ‘cut the cable cord (well, satellite)’, but we don’t have unlimited internet available…….any ideas that don’t use ridiculous amounts of data?? Just get an $8 antennae from Walmart and a $40 DVR. Works great for me! The stupidest thing I’ve ever spent money on was a forced cable package through our old apartment complex. We never used it not even once! But it was apart of our rent. You can use an antenna that plugs in the back of your tv. Cost can be $50 but if you go somewhere like Best Buy you can return within 14 days if you don’t like it and they have different selections and price ranges. We use antenna, netflix, cbs access and you tube. Cost is 15 a month. Want to try Hulu but need to wait. I agree with these! I’m bad about in-app purchases for my 3 1/2 year old. I also agree with the gym membership. Most people go a lot in the beginning and then attendance tapers off. I have a collection of workout videos that I used to exercise at home. It’s a good alternative to a gym membership. I always find it much more convenient to pop in a workout video. I always found the ones with short 10-30 minute workouts because then I had no excuse not to fit in a short workout at some point in the day. I slowly built up my collection by buying a new video every 3-4 months for $10-$15. The videos have lasted years. A good place to get thorough details on each video with reviews is collage video. You are a Rockstar! As long as you are using the gym membership, its not a waste of money! 6 days a week is money well spent. Coffee at home is a great place to start. I do spend credits from Google Rewards to get the full versions of apps for my son. Obviously it’s only available Android devices, but it’s just a thought for the purchase of some apps without ads. Once you have a Google Rewards all on your phone, you answer questions and obtain credits to spend in the Google Play store. I hope this was helpful! I thought from the picture the number one thing was going to be “pretty girls” – which would be about right on a global basis! Yes you can get a lot of books for free especially at the library, but the library doesn’t carry all the books that I desire to read. I *love* books and can’t imagine living a world without books. It makes me sad that books are on this list. Books are the path to knowledge or entertainment (depending what you’re reading). You also don’t need to replace them every two years like you do with tablets and phones. There is always something to learn from each time you read a book. You can read a book throughout your day, you can’t really do that with a movie, with a movie you have to find a specific time in your day to watch it or wait for the weekend. We save a lot of money by checking our local thrift store before buying new. Most of my kids clothes are from thrift or consignment stores (and name brand, great quality!) But you have to be careful because it’s tempting to buy things you don’t really need just for things he great price. I discovered BookBub. There are discounted and free books for the genres you choose. I only pick the free books they offer. I get an email each day alerting me to the new bargains. I love it! I’ve been without cable for about 5 years now. I use Netflix and Hulu. I also have Amazon Prime and that also has many perks. I use an antenna and receive local NBC, ABC and CBS channels. I do wish we had better options for internet though! I have an Amazon Prime membership so instead of going to the movies, we often rent them from there for 30 days and save a ton of money by not going out to the movies.We cut our cable about 4 years ago and it was our best decision ever! I actually like the news and my husband was afraid he would miss his sports, but we solved that problem by buying a digital antennae for our house. It was $40.00 and we get almost 35 channels with it. With Netflix and Hulu we are all set. Fast food is definitely where so much (too much) of my money goes. It’s soooo not helpful that I’m not only wasting a ton of money but also gaining weight…. Another thing is subscription fees for something we meant to cancel but forgot. I haven’t fallen prey to this but I have come close. I am a sucker for free or deeply discounted trials such as NatureBox, Ipsy Glam Bag, subscription music trials like Google Play Music, etc. Buying things to throw away is not good. Paper towels should be replaced with rags. Snack bags replace with small storage containers. Paper plates and disposable cups I only use if I’m Giving left overs or coffee to go after a party. Use an antenna for free tv. The Put Channel provides over 30 cable channels for FREE. 123movies has all the latest movies for FREE. Our phone is $5 a month using Magic Jack. All you need is internet access and all of that is yours. Cook from scratch, use motion sensor light instead of leaving outside lights on, put a timer on your water heater (why heat water when everyone is asleep), wash laundry in cold water, line dry when possible, load your dishwasher so you only run it every few days, heat with wood, if you aren’t in the room turn the lights off (same with the tv), use smaller wattage light bulbs, compare auto insurance every other year and go with the best deal, increase your deductible on your auto insurance and save with smaller yearly payments, etc. Most is just common sense. I would remove “books” from your list as well. Books are always a good investment 🙂 in it’s place I would add a separate section for buying coffee. 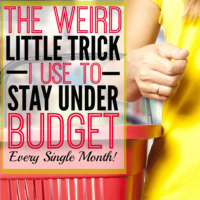 Buying it every day (or several times a day) is hugely expensive and a waste of time as well. My wife and I both have nice middle class jobs (about 80k combined). We live in a nice place in a nice neighborhood, don’t have any debt except a 15 mortgage, we save for retirement and kids college, we go on fun trips every year, and have no problems paying the bills. -We worked our butts off in our teens and 20s and went through school without taking out debt. -We live in a nice 3 bedroom townhouse even though we would have qualified for a way more expensive house. One bedroom for us, one for each kid…plenty of space. -We both drive paid for Chevrolet Sonic’s and do all the proper preventive maintenance. Driving the same car, and it being a cheap ubiquitous American model, makes parts and maintenance affordable. -We don’t buy stupid crap – ever. No cable, no bigscreen TV, none of that. People don’t realize how much of a drain these kind of things can be. Not only does that kind of stuff cost money but if you have it you are obviously going to want to use it, which is even worse. Although gyms are a good item here, it may be worth it to check out your local rec center. Mine is $60 a year, and that’s just for a single person. There are much better rates for couples and families of 4. And it even has a steam sauna! Our car extended warranty just saved us over 5000 as we needed a new transmission on a 4 year old vehicle…that is one that I will alsways purchase. I do only purchase books I want to keep otherwise its the library or used bookstores. Love Value Village, you just have to chose carefully for clothes and household items like dishes…I have found several precious antiques there. You can even make your mayonnaise yourself : so easy, cheap and you don t waste.